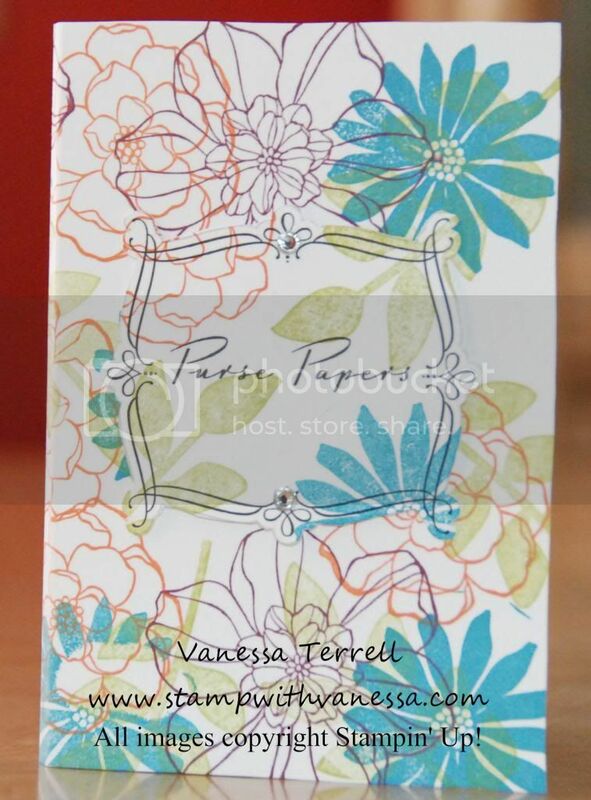 Stamp with Vanessa: Secret Garden in Your Purse! Secret Garden in Your Purse! Hi friends! Before I show you my post today, I want to remind you of a few things! Just a few days left until Sale-A-Bration ends...I so sad to see it end. Have you gotten all the wonderful things you wanted to get for FREE? Also are you visiting all the blogs in the 2013 Treasure Hunt? If not you are missing out on some great talent. Check out my clue here and you can see all the blogs participating and a chance to win FREE product at the end of the contest! Now onto to my project for today! You know how I like to make little notebooks? Well I found this great project that you can put in your purse! How cool is that?...and it's called Purse Papers! I found the project here, in case you would like to make your own. 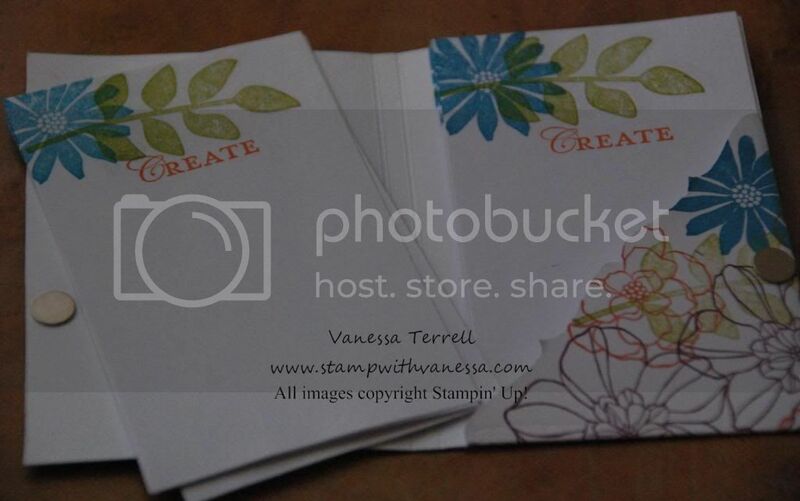 I stamped my project after I printed/cut it out using the Secret Garden set from the Spring catalog in some bright colors. I did use the pattern as it was printed, but I think the next time I will try to adapt it and use some of my Framelits for the outside. Here is my finished project - outside view. This would make great quick and easy gifts!